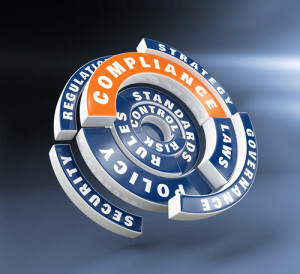 Regulation and digital seem to be at opposite ends of the spectrum at times. While many digital currency enthusiasts feel that regulation is beneficial and ended, there are equally as many people who oppose the idea. One digital currency, called Aten Coin, has taken the opposite route, as it is fully compliant with regulations, AML legislation, and is thief-resistant. During the Inside Bitcoins conference in Berlin earlier this year, I ran into a man called Marcus Andrade. After striking up a small conversation about why we were both attending, he started telling me about Aten Coin, and how it embraces compliance and regulation. The concept piqued my interest at that time, and I started doing some digging for more information. As it turns out, the Aten Coin project started in 2012 and took slightly over two full years of development to complete; not just because of the code base itself, mind you, as Aten Coin is much more than just a digital currency. Even though development of Aten Coin was successfully completed in 2014, the coin has only been made available for purchase as of September 2015. Obtaining Aten Coin can be done through the AtenPay.com website. 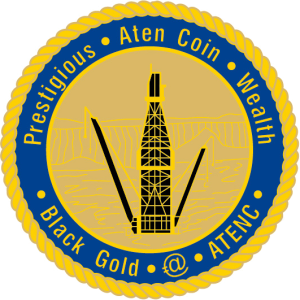 Note from the Author: Aten Coin is often referred to as Aten Black Gold Coin, which has been making a name for itself ever since Marcus Andrade formed the National Aten Coin Foundation (NAC). Aten Coin is based on Bitcoin, but it has additional features built in that can be wielded as powerful tools to fight money laundering, terrorism, and theft. At the same time, Aten Coin embraces transparency, as this currency is not intended for usage on the dark markets by any means. Unlike other cryptocurrencies, Aten Coin has managed to create relationships with traditional banks, as the NAC is a Platinum Service member of the American Bank Association. Furthermore, the coin itself is compliant with multiple law enforcement agencies, including AML, CFT, BSA, USA PATRIOT Act and AFF. Doing so truly sets Aten Coin apart from any other digital currency, as its blockchain can be used for transaction verification and mining purposes. Even though Aten Coin is regulated for KYC/AML and anti-terrorist compliance, those are not the major selling points. Instead, maintaining the decentralized financial aspect of Bitcoin while overcoming some of the shortcomings of the Bitcoin protocol are what is of great interest to investors and government officials. All Aten Coin address are multisignature addresses, which contain one public and private key from NAC, and at least one other pair of keys from the end user. That being said, not just everyone can create an Aten Coin address, as users will have to go through an authorization process from NAC. Obtaining this authorization requires users to register as an Aten Coin User in the NAC systems, and providing the valid documents to disclose and verify their identity. “As senders and receivers of all transactions can be revealed, any thieves or hackers who steal the Aten Coins can be easily traced and tracked by retrieving personal identities of the receivers from the client information database,” said Andrade. “Moreover, the credential authentication mechanism behind Aten Coin allows a user to change the credential to stop coins being transferred out from a stolen wallet. As a result, NAC’s invention can prevent Aten Coins from being stolen” – NAC Founder Marcus Andrade explained.